I was in charge of dessert for a Young Woman’s activity several weeks ago. It was a “P” night for Personal Progress, so I wanted to come up with a dessert that started with a “P”. I opted for pudding cups. I wanted to make them more exciting than basic pudding, and adding Oreos was an obvious choice. Who doesn’t love Oreos? Then I thought of my chocolate layer dessert, and decided to add a cheesecake layer. 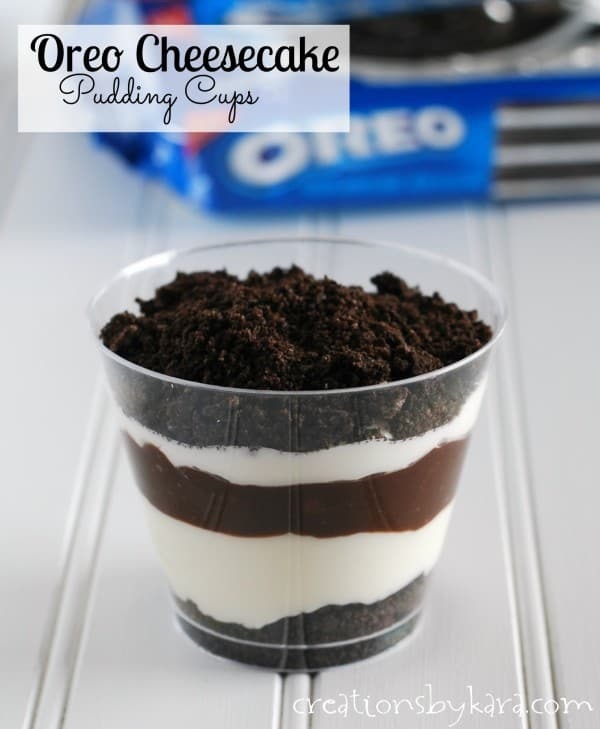 Oreo Cheesecake Pudding Cups were born. They turned out even better than I imagined! Layers of creamy cheesecake and chocolate pudding, with the crunch of Oreo cookies. Divine. Everyone loved them. 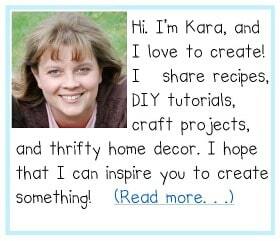 I actually had several people ask for the recipe, and I feel bad that it’s taken me list long to post it. You really should give them a try! At the last minute, I thought of dressing them up. I added a bow around the middle and a flower on top. Unfortunately, I didn’t have enough flowers in my stash (we needed over 40), and I didn’t have time to run to the store. But it turned out so cute that I just had to share. Wouldn’t this be darling for a baby or wedding shower? Chop Oreos in a food processor or blender till all you have is fine crumbs. Set aside. Beat cream cheese till soft and fluffy. Beat in powdered sugar, vanilla, then milk. Blend till smooth. Fold in whipped cream. Set aside. Beat pudding mix and milk as directed on the box. 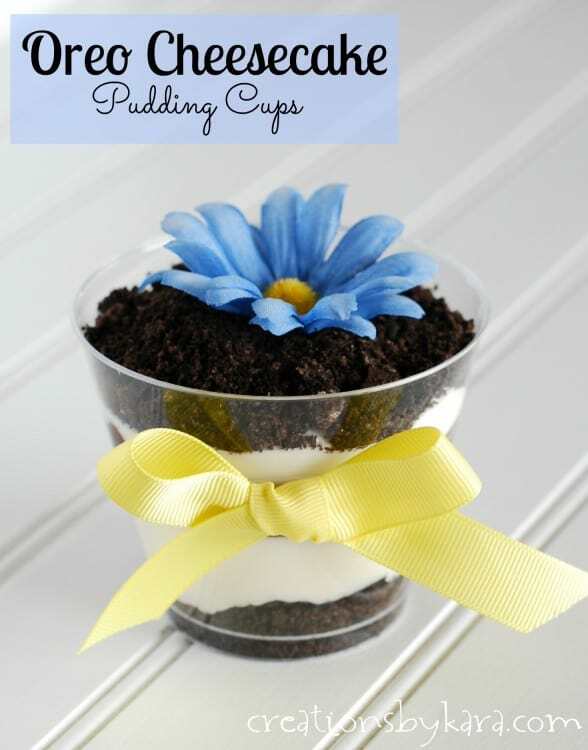 To assemble the pudding cups: Sprinkle a layer of Oreo crumbs in the bottom of a clear plastic cup. Pipe or carefully spoon a layer of cheesecake filling. Then pipe or spoon a layer of chocolate pudding. Add another layer of cheesecake filling. Top with additional oreo crumbs, completely covering the filling. Refrigerate till serving time. -You have to work quickly when filling the cups, because the pudding starts to set up, making it hard to get even layers. If you have to, you can add milk as you go. If you want to serve them frozen, I think they would work just fine. I definitely don’t recommend freezing them and trying to thaw them before serving. The Oreos would get soggy, and the pudding turns watery.